Eric Kohn about the inspiration for the episode below. Pre-order the third season of “Tales From Beyond the Pale” here. 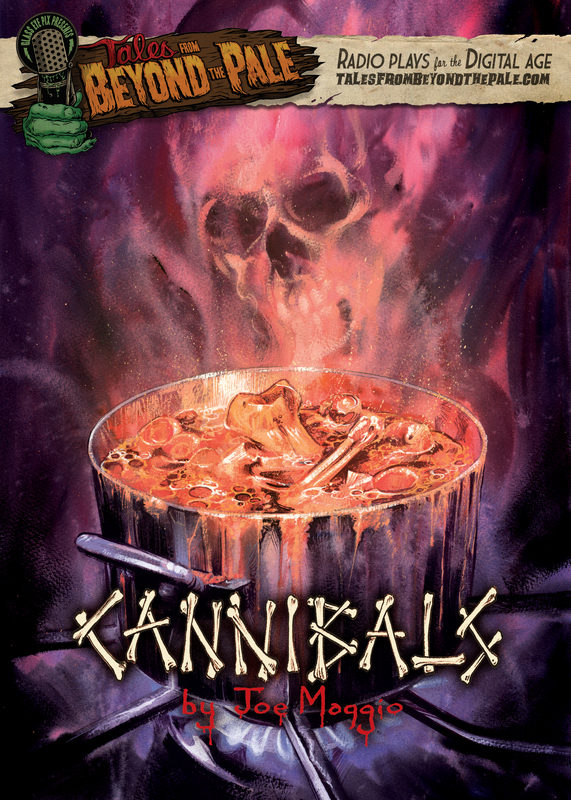 The story of “Cannibals” involves an established director who confronts a young filmmaker who’s been ripping him off. Is this something you’ve experienced firsthand? Well, I’ve done my share of idol worshipping — writers and directors I became obsessed with and whose work I devoured. I started off with Cassavetes. I watched his films over and over again, but beyond the film work I really dug into his personal life. I wanted to know what brand of cigarette he smoked, what was his cocktail of choice, whose shirts did he wear, that kind of stuff. I suppose that, unconsciously, I was simply trying to conjure up a presence, to get as close as possible to the man so that some of his greatness might rub off. How did this approach to storytelling differ from your experiences as a filmmaker? This is actually my third time out with “Tales From Beyond the Pale” so I feel like I’ve made some progress as a “radioist.” I guess the most obvious difference between radio and film is that with a radio play you’ve got to be careful that your story will be compelling on a purely auditory level, which really isn’t that hard because frankly I find it compelling to just listen to someone with an interesting voice saying interesting things. And that really is the biggest difference for me, that the radio plays allow me to write really long passages of dialogue, which I love to do and which is not something I can get away with as a filmmaker. With film, I feel like I’m always trying to trim things back, to show and say the minimum. But with the radio plays I let it rip. You’ve been exploring themes of human depravity across several films. What appeals to you about this focus? Oh, I guess what I’m really exploring is my own depravity, my own sick fantasies, or the crushing fears that would otherwise fester inside of me. Writing about these things and then watching an actor get up and speak the words that previously only existed in my head, or perform the gestures and actions I’d imagined a thousand times is a way of exorcising my depravity and achieving a kind of transcendence. What’s your relationship to the horror genre? Do you consider horror to be a part of your earlier films? “Bitter Feast” is the only one that has some horror elements. I don’t think I’ve ever made a movie that lies strictly within the horror genre, although “Bitter Feast” comes the closest. I’m someone who dabbles in horror, who sees the horror in the seemingly benign — which, when I think about it now, is actually a defining characteristic of the best horror films, or at least my favorite horror films, like “The Exorcist” or “The Shining.” You start with something so ordinary, so familiar, and then you start peeling away the layers until you get to the rotting core. I’m just finishing a new film, “Supermoto,” about a girl who wakes up in a motel on the edge of the prairie in Eastern North Dakota. She quickly discovers that her boyfriend has ditched her and all he’s left behind is a toothbrush, a few bucks, a set of racing leathers and a supermoto motorcycle. We shot in scope with seventies-era Lomo anamorphic lenses. It’s gonna be pretty sweet.